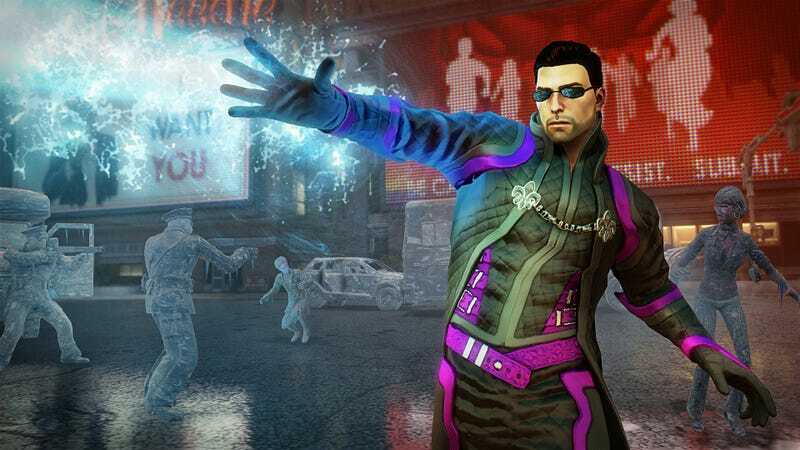 The Saints Row series never supported modding, but now that it's under new ownership, that is about to change. Developer Volition will release "what is essentially a full [software development kit]" for the most recent game, and says this year's sequel is likely to get one, too. The upshot to all this is the PC version of the game can now get new vehicles, clothing, characters and missions. Given just how flat-out bizarre the Saints Row universe is, this could make all of those Iron Man, Skyrim and Star Wars mods in Grand Theft Auto look tame by comparison. Remember, the next game will feature something called The Dubstep Gun. And that's an official weapon. Power-modder idolninja, who had lobbied Volition to include some kind of mod support, said he was surprised by the depth of Volition's response. He suggested that this was never going to happen when Saints Row was owned by the now-bankrupt THQ. "I mentioned [to Volition] how Koch Media and Deep Silver [which bought the franchise in January] have a reputation in the industry for being fan-centric," he wrote, "and how working together would show how different they are from the previous regime's policies that forbade Volition developers from interacting with the fans at all." Sounds like those were the magic words. "Some of the ideas we have in store are going to blow people's minds," he vowed.